Febreze Cotton Fresh Air Freshener Aerosol - 300ml. 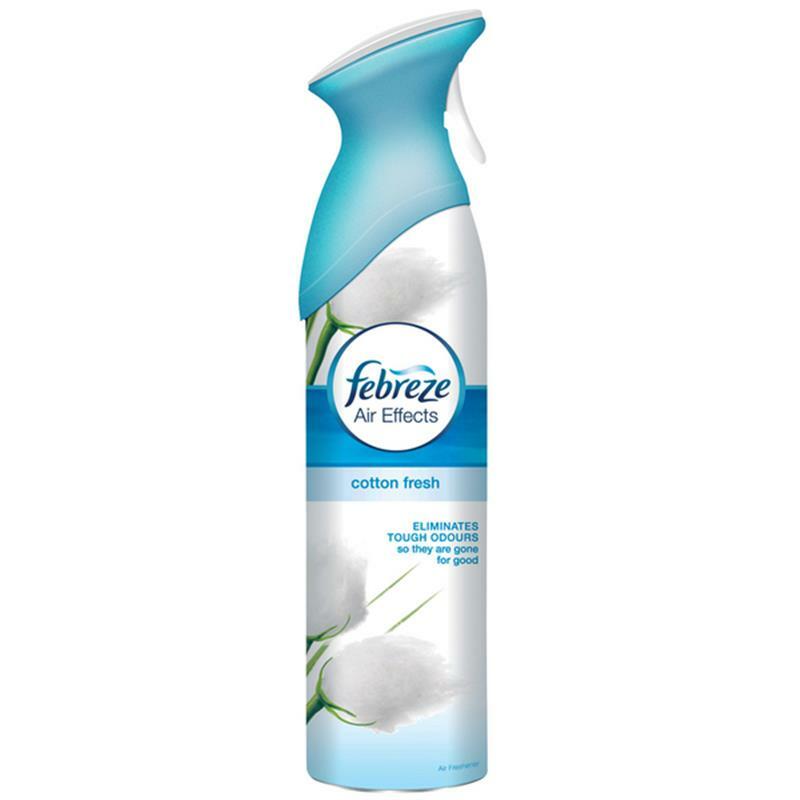 This Febreze air freshener has a cotton fresh fragrance and eliminates odours and freshens the air. Features a bespoke trigger spray system which creates larger water droplets providing a lasting scent experience.